The wait is over. They have arrived. 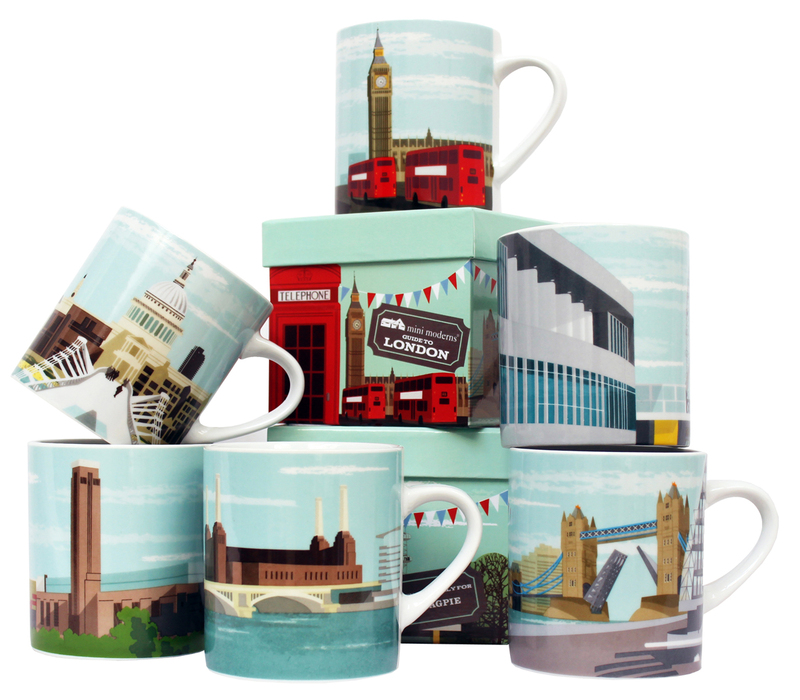 Now you can enjoy a little bit of the capital’s magic with our set of 6 ‘Mini Moderns Guide to London’ boxed mugs. Created exclusively by Mini Moderns for our friends at Magpie, the mug collection is based on an existing series of illustrations by Mini Moderns, which Magpie founder, Nicky Sloan, spotted and immediately liked. The initial collection of six views includes: Tower Bridge, Tate Modern, St Paul’s, Southbank Centre, Battersea Power Station and Westminster.